Imperial brand soda water and Port-o flavors. Whistle the national drink. 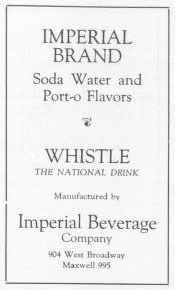 Manufactured by Imperial Beverage Company.